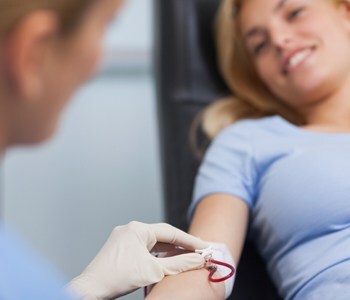 Home » Health Page » Why Donate Blood? When you donate blood, you could be saving a cancer patient’s life. Many people undergoing cancer treatment require blood transfusions – sometimes daily. “In some cases, a cancer patient needs a transfusion because of the cancer itself,” says Mark A. Meadors, DO, medical oncologist, Saint Francis Medical Partner. “Cancers may cause internal bleeding, reduce blood-making cells in the bone marrow or affect other organs that help maintain a normal blood count. When you donate blood, the blood center collects about one pint at a time. One donation can help save the lives of up to three people. For more information on how to donate, call 573-331-3996.